Welcome to our Custom Bicycle Blog! Basically, this is where we will display our some of the custom projects we've put together in the past. 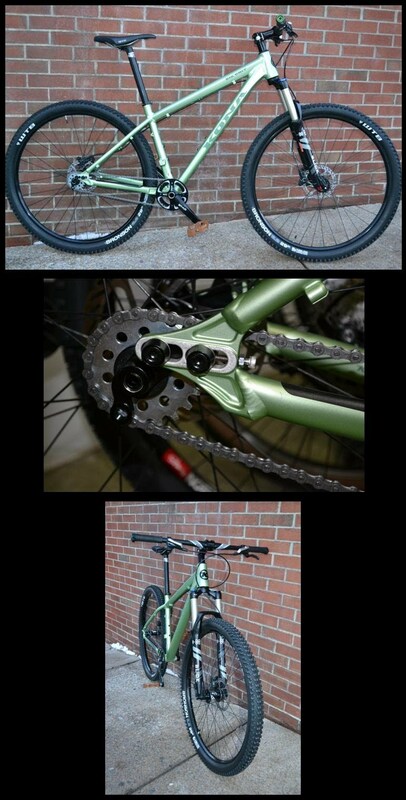 The purpose being to showcase our handiwork, and maybe we can inspire people to put together their own dream bikes. Pictured below is our basement workshop. It's where the magic happens. 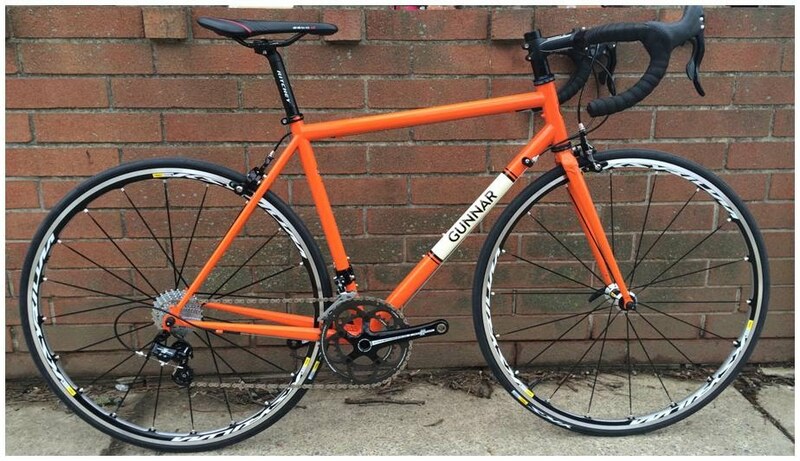 The Gunnar Ruffian is your ticket to single-speed paradise. A single-speed mountain bike is a joy to ride because it relieves your mind from shifting, so you can just enjoy the ride. Single-speeding is pure and simple. Its about getting back to the basics, and doing those things well. It is all about keeping your momentum and learning to 'flow.' Its about crunching through rock gardens without worrying about mashing your derailleur. Its about light-weight mechanical simplicity, and it is beautiful. 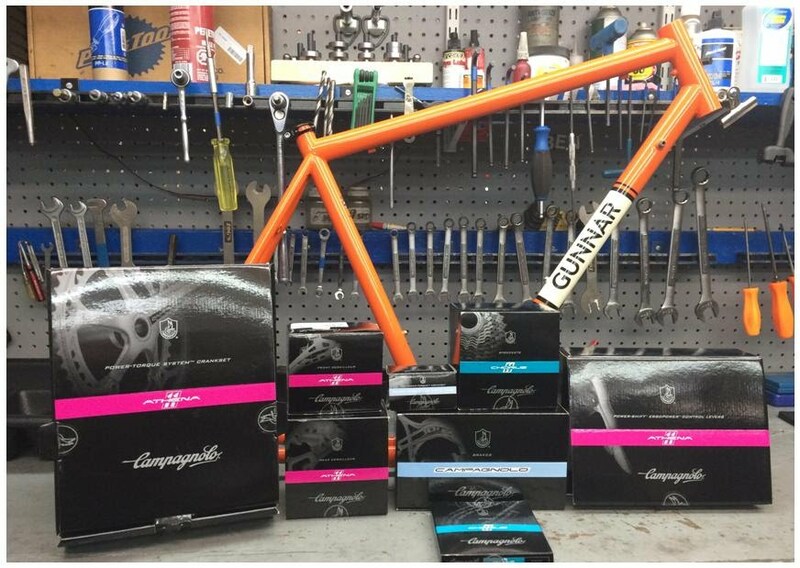 It is especially beautiful whenever you are riding a buttery smooth steel frame handcrafted by one the best frame makers in the business, Gunnar Cycles. The Ruffian we have here is very nicely spec'd without going over the top. Highlights include: A hand-built wheel-set on Paul hubs, with a White Industries freewheel - single speeding in style. Chain stays on this frame measure 17.75" in its current position(sliding dropouts). The effective top tube measures approx. 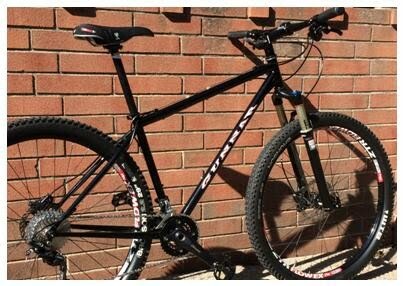 27" w/100mm stem. Tires: WTB, Exiwolf Ft, Mutano Raptor Rr. The Surly Troll is one of our favorite bikes available from Surly for many reasons, but mainly because of its versatility. This bike was very popular while it was on our sales floor, and two 650B Trolls have already came and gone through here already. 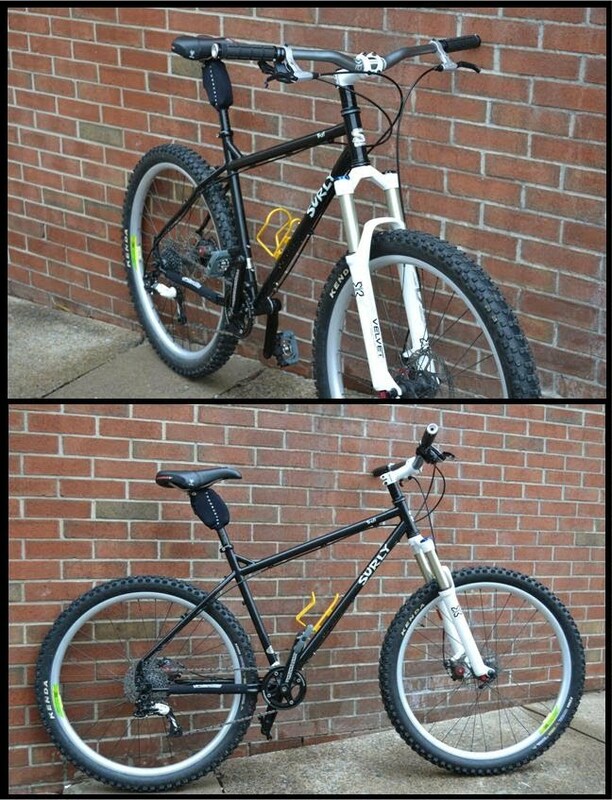 While this bike is no longer on the sales floor, we could build another one up right quick. The Troll can be run geared or singlespeed, and it can accommodate 26" wheels (which it was designed for), and 650B wheels (as seen here), or even with 700c disc wheels, if you really want to push the limits! A 29er wheel clears the fork just fine, but does not fit in the rear. Split wheel options are certainly possible, too. The Troll also has frame mounts for a Rohloff hub, Surly trailer, or B.O.B. trailer. It can be built up with canti's or v-brakes, or disc brakes. 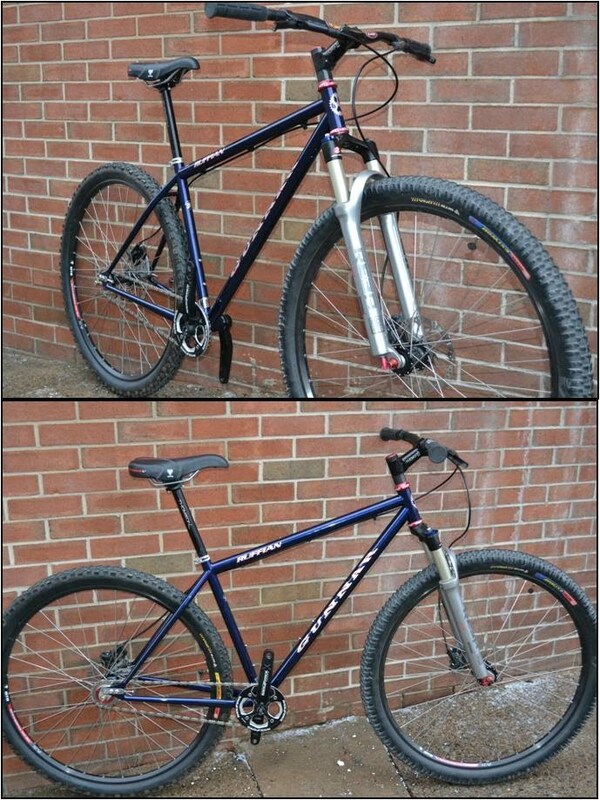 The frameset includes the rigid fork, but a suspension fork can be added easily. The Troll is all about being simple and effective and burly. 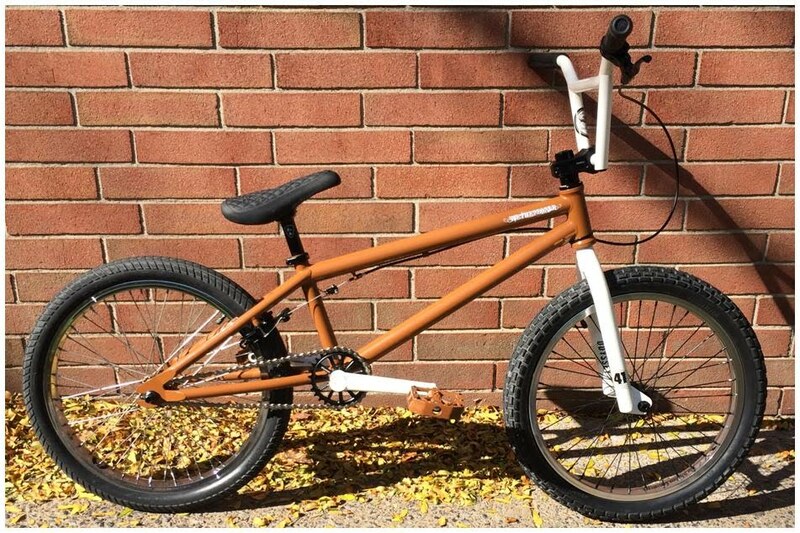 Its a really fun bike that could hold its own anywhere no matter how you decide to build it. 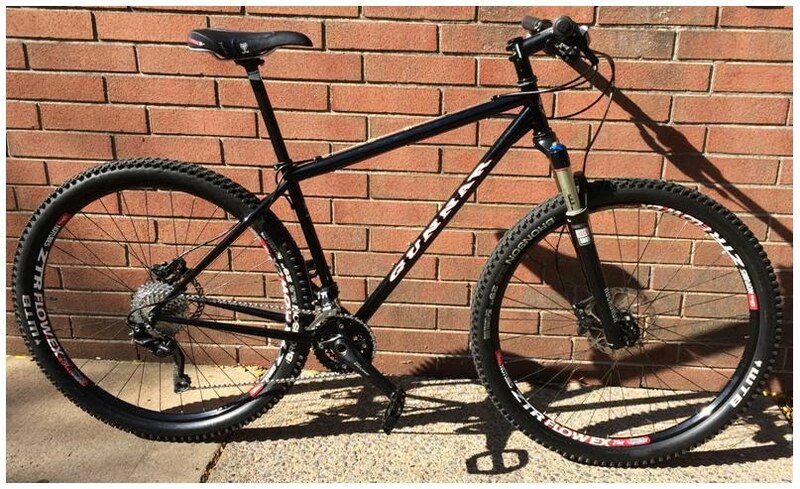 Highlights on the Troll include: P35 Velocity rims are super wide, 35mm wide, so the tires on this bike look huge and provide excellent traction and volume for stomping singletrack! Also, the 1x10spd drivetrain really simplifies things out on the trail, while still providing a wide range of gears.